Discovery 3 / Range Rover Sport 2.7 Tdv6 ABS Lid Right DWN500022Good used conditionNo cracks or dama.. Discovery 3 / Range Rover Sport 2.7 Tdv6 ABS Lid R.. Discovery 3 / Range Rover Sport 2.7 Tdv6 Battery Cover Lid Left DWN500032Good used conditionNo crack.. Discovery 3 / Range Rover Sport 2.7 Tdv6 Battery C.. Discovery 3 / Range Rover Sport Gearbox Under Tray KRB500033Good used condition,No cracks or damageC.. Discovery 3 / Range Rover Sport Gearbox Under Tray.. Discovery 3 / Range Rover Sport Spare Wheel WinchGood used working order,Some Surface rust, will nee.. 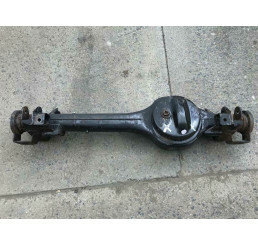 Discovery 3 / Range Rover Sport Wheel Brace KAL000024Good used working condition,Used on Discovery 3.. Discovery 3 / Range Rover Sport Wheel Brace KAL000.. Range Rover Sport 05-09 Rear Bumper Tread Plate DOE000021XXXGood used conditionPlease match current .. Range Rover Sport 05-09 Rear Bumper Tread Plate DO.. Range Rover Sport 4.2 V8 Engine Cover 05-09Good used conditionSome wear to inside foamAs shown in ph.. Range Rover Sport Black Rear Door AssemblyGood used conditionWill require tar removing from windowAs.. Range Rover Sport Blue Front Bumper Fog Light Trim DXB000221 DXB000231Good used conditionIn Buckingh.. Range Rover Sport Blue Front Bumper Fog Light Trim.. 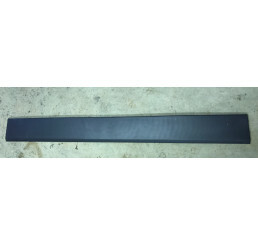 Range Rover Sport Boot Door Lower Strip DGP000192Good used conditionSome marks as shown in photo.. Range Rover Sport External Drivers Door Window TrimGood used conditionAs shown in photo.. Range Rover Sport External Drivers Door Window Tri.. Range Rover Sport External Sill CoversGood used conditionSome marks as shown in photo.. Range Rover Sport Fuel Cap Assembly FSG500013Good used condition,Complete with fuel cap and actuator.. Range Rover Sport Fuel Tank UndertrayGood used conditionSome surface rust as shown in photosWill NOT..
Land Rover Range Rover Sport Grill DHB500390 in GreyGood used condition removed from a 2005 Range Ro.. Range Rover Sport Java Black Fuel Cap Assembly ALN780053XXXGood used working conditionComplete with .. Range Rover Sport Java Black Fuel Cap Assembly ALN.. Range Rover Sport Nearside Door Pillar Rear External Post Cover DDG000174Good used conditionNo damag.. Range Rover Sport Nearside Door Pillar Rear Extern..
Land Rover Range Rover Sport Nearside/Passenger Side Powerfold Wing Mirror CRB503070PMAGood used wor.. Range Rover Sport Nearside Rear Quarter Panel Trim SLR00105Good used conditionSome marks from use.. Range Rover Sport Nearside Rear Quarter Panel Trim.. Range Rover Sport Nearside Rear/Passenger Side Lower Door Trim DGP000231Good used conditionWill fit .. Range Rover Sport Nearside Rear/Passenger Side Low.. Range Rover Sport Nearside/Passenger Side Front Lower Door Trim DGP000211Good used condtionWill fit .. Range Rover Sport Nearside/Passenger Side Front Lo.. Range Rover Sport Nearside/Passenger Side Rear Wheel Arch Trim SLR00105Good used conditionPlease che.. Range Rover Sport Nearside/Passenger Side Rear Whe.. Range Rover Sport Nearside/Passenger Side Wing In BlackGood used conditionWill require spraying at t.. Range Rover Sport Nearside/Passenger Side Wing In .. 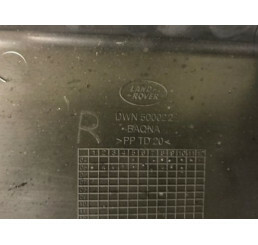 Range Rover Sport Number Plate Surround DRB000111Good used conditionNo cracks in plasticSome screw h.. 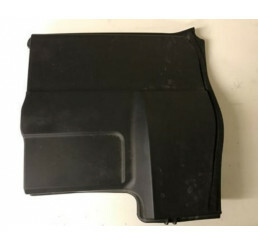 Range Rover Sport Offside Rear Door External Post Cover DDG000164Good used conditionNo damage or cra.. Range Rover Sport Offside Rear Door External Post .. Range Rover Sport Offside Rear Lower Door Trim DGP000221Good used condtionWill fit 05-09 Range Rover.. Range Rover Sport Offside Rear Lower Door Trim DGP.. Range Rover Sport Offside Trim 05-13 Under Trim KRN500042Good used conditionNo crack in plastic.. Range Rover Sport Offside Trim 05-13 Under Trim KR.. Range Rover Sport Offside/Driver Side Rear Wheel Arch Trim SLR00104Good used conditionPlease check c.. Range Rover Sport Offside/Driver Side Rear Wheel A.. Range Rover Sport Offside/Drivers Side Front Lower Door Trim DGP000201Good used conditionWill fit 05.. Range Rover Sport Offside/Drivers Side Front Lower.. 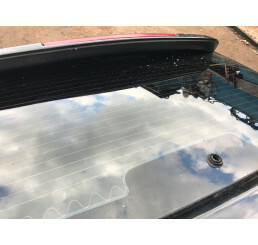 Range Rover Sport Offside/Drivers Side Wing BlackGood used conditionOne scratch as shown in photo..
Land rover Range Rover Sport Rear Bumper Cover DQU000011PCL Please ensure you have the correct .. Range Rover Sport Rear Wiper ArmGood used working condition.. Range Rover Sport Rear Wiper Motor Cover ERK500211Good used conditionNo cracks in palstic.. Range Rover Sport Wing VentsGood used conditionWill fit 05-09.. Range Rover Sport/Discovery 3 Nearside/Passenger Side Mirror CRB500734PMAGood used working condition.. Range Rover Sport/Discovery 3 Nearside/Passenger S.. Range Rover Sport/Discovery 3 Offside/Drivers Side Mirror Powerfold CRB500724PMAGood used working co.. Range Rover Sport/Discovery 3 Offside/Drivers Side.. Range Rover Sport/L322/Discovery 3 XUI500124PNPGood used working condition30 Day parts warrantyPleas..